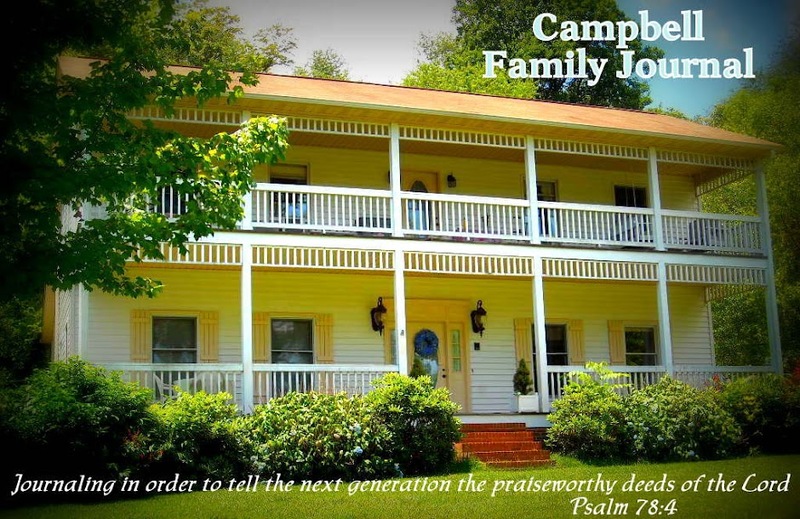 Campbell Family Journal: Great News! I talked to Dawn a few minutes ago and she asked me to update you all with the latest news. Dr. Davenport came into today and said she knew how badly Katy wanted to go home by Sunday for her granddad’s 80th birthday party. The Doctor is going out of town for a couple of days, but she signed a release for Katy for tommorrow, pending some training today and tommorrow. The family will be learning how to care for the Nutrition line, checking insulin levels, etc. Needless to say, Katy is elated! On another note, the results from the Lab in Minnesota came back today, and has confirmed that Katy is positive for HPS. Although, this has been the assumption all along, getting the final news was quite sobering for eveyone. Dawn says that Katy is taking it very well, and was actually comforting Dawn and reassurred her that God had brought them through so much and knew that He would continue to be their strength. The fact that the results came back so quickly is a miracle in itself. This very specific test had to be done in order to gain entrance to the research program at NIH in Maryland. The Dr. had said to expect it to take up to 6 months for the platelet study to be complete. The Dr. here was notified of the results in less than 48 hours! Dawn and Katy were able to take a walk down by the Roanoke River today. (Katy was in a wheelchair.) It was her first fresh air in 2 1/2 weeks! As they were walking along, they were having a great conversation about the flowers and different things. Dawn said she realized what a blessing it was when your children grow up and become your friend. She lwas so thankful to be taking a walk along the river with her friend. 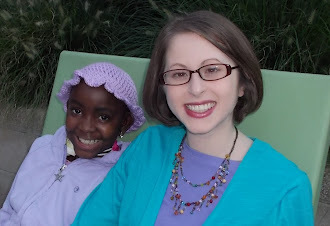 They were reading in the Psalms yesterday and came to Psalm 42:11 - “Hope thou in God; for I shall yet praise Him, who is the health of my countenance, and my God.” Katy smiled as she remembered all the comments that you have made on this blog about how beautiful she looks. She said she knows that the reason is because of who she is hoping in. Thank you all so much for your comments, your support and especially for your prayers. Don’t quit now! I am so glad to hear that you have the diagnosis finally. Even though it is an unusual answer and a daunting one, it is an answer. Half the battle is finding out who the enemy is. Only then can you start winning the battle. I just want to say that I am ecstatic that you may be going home soon. It was my great honor to stay with you last night. I learned so much about Albinism but more than that, I learned what a great heart for God you have. I already knew that but seeing how you face this obstacle so courageously is an inspiration to me and others, I am sure. I used to work nights in the hospital and truly enjoyed that shift and have spent my share of nights in the hospital as a patient. I had forgotten how much fun it was. It only increases my resolve to pray with greater furvor that you are discharged SOON!!!!!!!! Now, along that line….the staff at RMH is awesome. Everyone I met was friendly, professional and caring. I saw two former colleagues there and felt right at home. You are blessed to be in the hands of such skilled professionals. I am so glad you got to go walk by the Roanoke River with your Mom. I don’t have much time now, as Dad wants the computer. But I still love you & will continue to pray for you. Especially that you can go to your Grandad’s Birthday Party. The Griffiths are praying for you! We were pleased to hear you results came back so quickly. You are a great encouragement to us all. Your hope and faith is a testimony of the Lord Christ and his faithfulness to his people. May the Lord continue to bless you and shine his face upon you! May your greatest delight always be in Jesus. I am so glad that you have a diagnosis. I am however sorry that it is HPS. On the plus side it will open a whole new world of what I consider wonderful and a very supportive group of people up to you. Please feel free to call me or anyone else you know in the HPS Network anytime. I promise we will be there for you. It kills me to be so close to you, and yet so far away, and I am hop9ing that someday we can meet. Take care and continue getting better. I’m so glad you got some fresh air! And they’re letting you out!!! Yeah!!! I don’t know about you, but I never sleep well in the hospital. There’s just nothing like your own bed! Dr. White in Minnesota is great! Yes, platelet studies can take a while, but the HPS test is pretty simple (thus frustrating that it isn’t used as a screening test for all people with albinism, but that’s another story) I think it takes Dr. White longer to prepare the slide than it does for him to look at the platelet and determine if the delta dense bodies are missing. We tell people to think of platelets like cookies. Normal platelets have dense bodies and look like chocolate chip cookies, but HPS platelets are missing those, so they look like butter cookies. Karen is right - as soon as you’re ready there’s a whole HPS family anxious to meet you. We call ourselves family because we share so much and feel so close to one another. 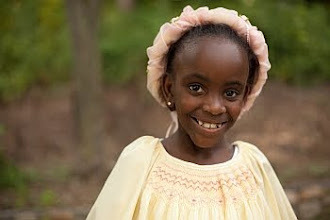 Candice and Crystal, the twins that were adopted from India, are especially anxious to talk to you. They’ll be going on tour soon. They have beautiful singing voices and have a music ministry called Angels in Voice. Just wait until you hear them! You’re still in my prayers! I’m so glad to hear that they’re letting you go home! I know that’s going to be a huge blessing for you and your family. They must be so excited. I just wanted to let you know that we really missed having you at the young women’s Bible study last night. We had a great conversation about what it means to be a woman of God, what unique purpose and gifts we were designed with as women. I believe you could really have contributed a lot to that conversation! Our next meeting is going to be August 30th (Wednesday) and we are looking at reading a book together called “Captivating”. I don’t know if you’re interested or if you’ll be feeling up to joining us in any way, but if there’s anything I can do so that you can be a part of this study, just let me know! We’ll be praying for you! We are so excited that it looks like you will be going home soon. We know that you are thrilled! :0) I enjoyed our visit the other day very much. I can’t wait to visit you at your house! God is sooo good! Katy your strength, perseverence, and joyful spirit in the Lord are so encouraging to my heart. You have no idea how strong of a blessing you are to me through this time of trial you are going through. I pray for you daily, and I praise God for restoring your strength so you can celebrate with your granddad on Sunday. Praise the Lord. I loved the picture that was posted the other day of you at the computer! I saw the light of Christ shining through your beautiful smile. Thank you for being an encouragement and a true reflection of our Father. I’ve just read the message that tells of the confirmation of your diagnosis. Tears can’t help coming, but we are so thankful for your wonderful strength and maturity in the Lord, and thankful to your parents and brothers for their help and modeling in helping you to be the very special person that you are. God may use your condition to bless other immensely, as they see how you endure and even flower with it; and He may use it to show His glory in healing you. I’m glad that life is not about us, it’s is for HIM, and when we think that we were created for His pleasure and glory, that is something EVERYONE can fulfill, by our attitudes in times of grief, disappointment and pain, as well as our praise and gratitude in the best of times. You truly are showing the attributes of your Saviour, Katy. How we wish we could take the pain all away and make everything “normal” again. God is able to prolong your life to anytime He wants… and when the time comes to go, His children are already WANTING to go. That’s part of His gift to us. Some lives are long on quantity and others are large on quality. Whatever else, dear Katy, looking at what we have all seen in your life so far, the later will certainly be true of you. P.S. My next letter will be a funny story.